Lots of new, exciting things have been happening in my little mossy corner of the world! 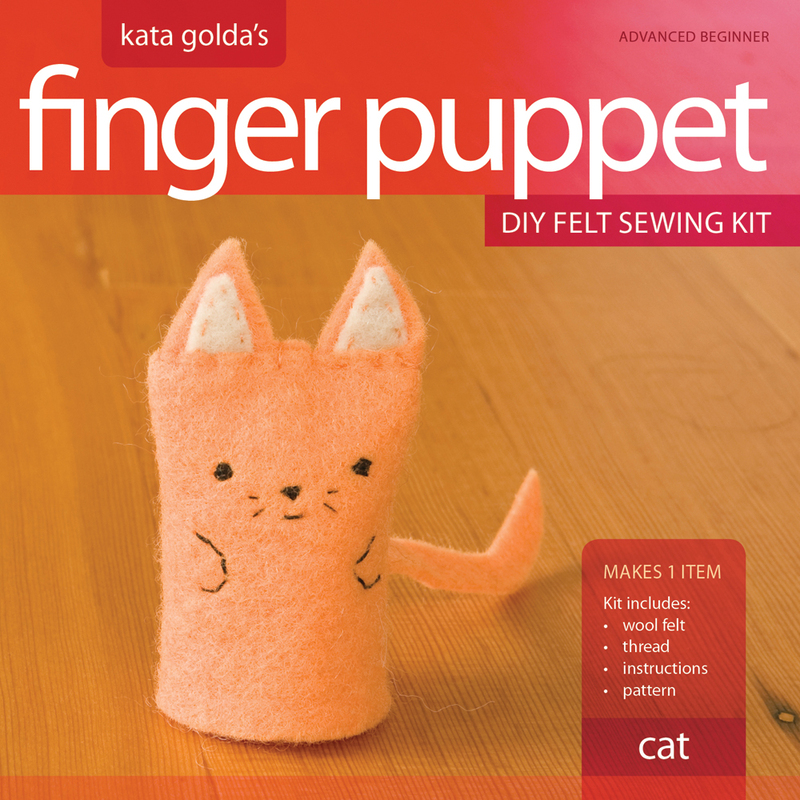 My graphic designer and I have been hard at work putting together a whole new suite of Kata Golda DIY felt sewing kits, complete with full color instruction booklets and patterns. After several rounds of editing and adjustments, three of the new kits are ready and available for sale. 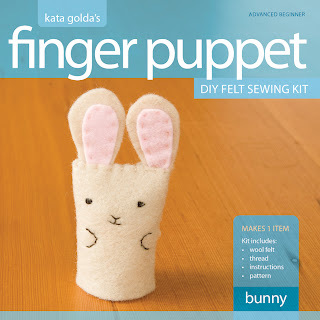 Your finished finger puppet will measure 2" wide by 2.5" tall, not including the ears and tail. 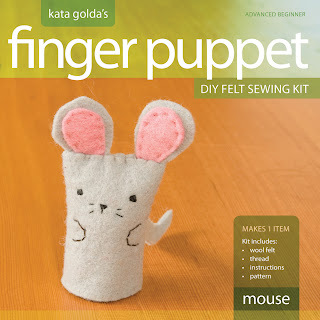 These kits are suitable for advanced beginners, and even shows what the steps are to do the 5 basic stitches found in most kits. You'll need to supply your own tools (sewing needle, scissors, etc. ), of course. 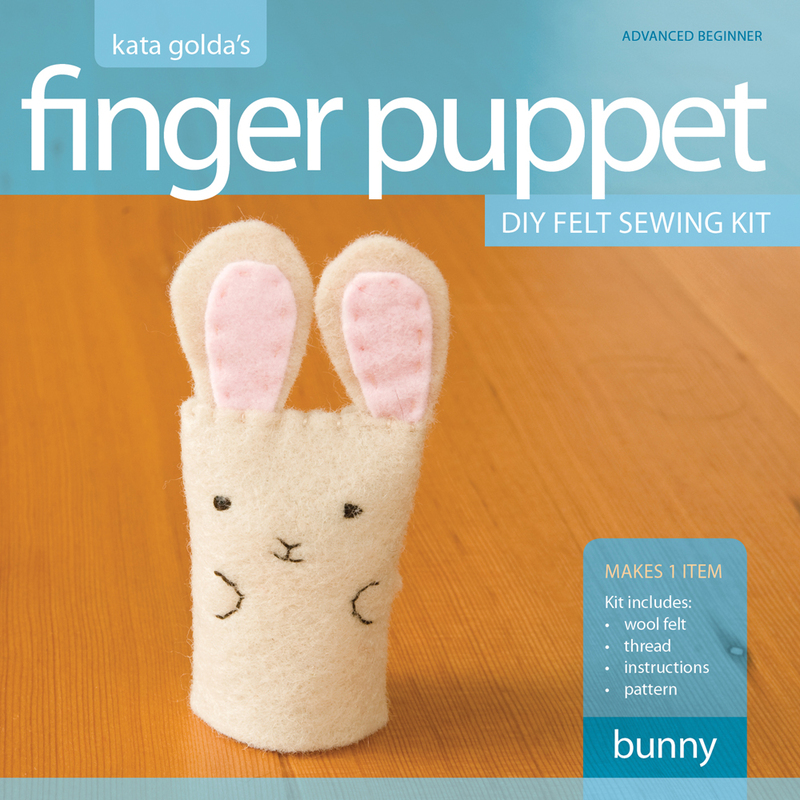 The finger puppets make great gifts for new moms and small children, but the kits themselves are nice little treats to give DIY crafters as well. 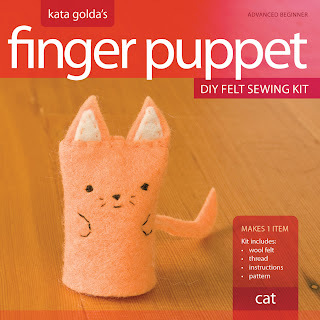 They are currently only available in the Kata Golda Etsy Boutique and include free ground shipping within the continental U.S.
Give them a try and let me know what you think of them — and if you're on Facebook, feel free to post photos of your finished finger puppets on my wall! I welcome all constructive feedback. In order to receive your order in time for the Christmas holiday, please place your order with Kata Golda by 12/12/11. This will allow time for your order to be processed and shipped. Kata Golda will be closing the evening of 12/14/11 for holiday vacation, and will be available again starting January 4, 2012.